Try this site, see how much you know about the "real world." Quite interesting. Click the "start" tab, and go for it. My only complaint is that the map is so small, sometimes it was difficult to 'hit' the correct country. I also think the timer needs to go a little longer. Three seconds to try to pinpoint the cursor on Luxembourg is dexterally challenging. Well what did everybody score. Shoot, I only got 30. But I clicked all over where Haiti should be, and still didn't get the cursor positioned exactly right. The first time I got a 41, the second time a 22. Very cool game, I was lucky to get 34. 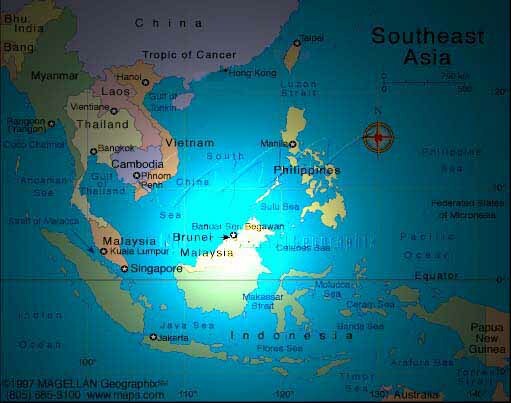 Choosing the wrong country reduces your time, very neat the way its set up, where in the hell is the Kingdom of Brunei? I swear I could not see the Bahamas where they were supposed to be! 60? Wow, good job, you must really know your geography.